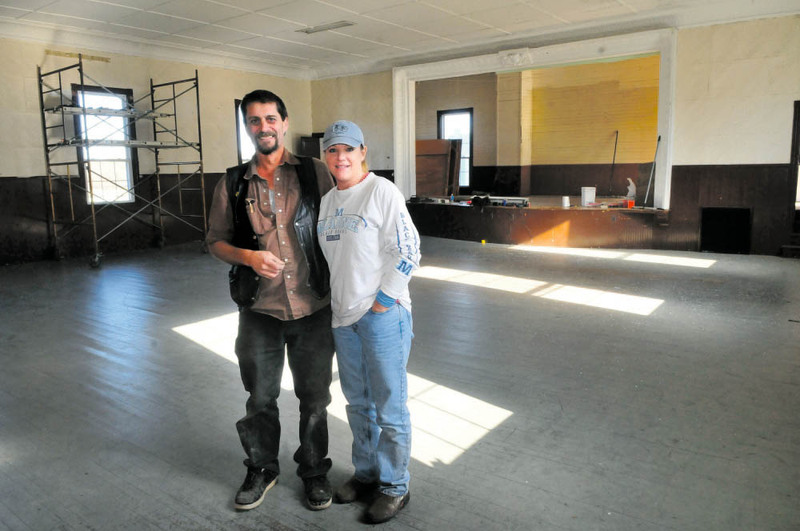 The 97-year-old building is listed by Maine Preservation as one of the state's most endangered historic places, and Bill and Lori Messer plan to renovate it as an apartment, offices and a performance space for country jamborees. 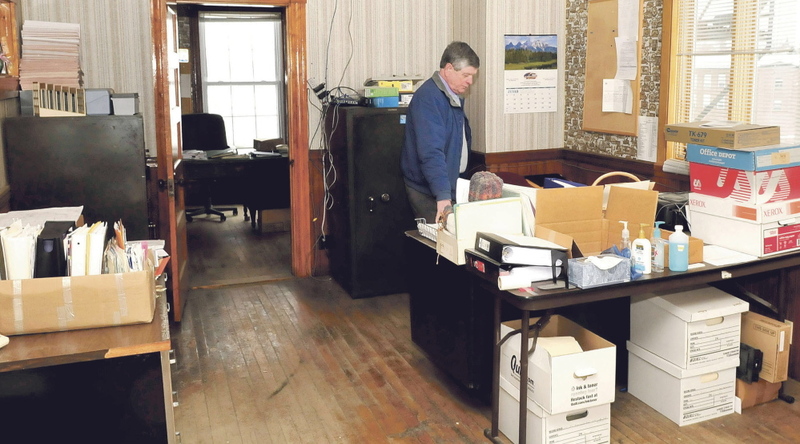 ANSON — Bill and Lori Messer were trying to sell their house in Embden when their real estate agent approached them about buying the old Anson Town Office. The town moved out of the 97-year-old, 5,600-square-foot building about two years ago because of mold, water and rodent problems. The answer he’s found is: a lot. Since closing on the building last week, the Messers have started remodeling the upstairs, where they plan to host a weekly country music open-mic event. Bill Messer has worked on country jamborees at the Embden Community Center for about the last year and a half and said he plans to hold similar jam sessions at the new building. They also plan to use the space for events and possibly concerts and to renovate the building’s lower level to house an apartment and offices. In doing so, the Messers have begun the process of saving one of Maine’s Most Endangered Historic Places, according to Maine Preservation, a nonprofit statewide historic preservation group. The building was included on the organization’s list of endangered historic places in 2014, about six months after the town’s administrative offices moved out. The building dates to 1918, when it was built to replace one that was destroyed in a fire. It has served a variety of purposes over the years, including as a fire station, a meeting place, town offices and the offices of the International Sunshine Society, a philanthropic organization, according to Maine Preservation. 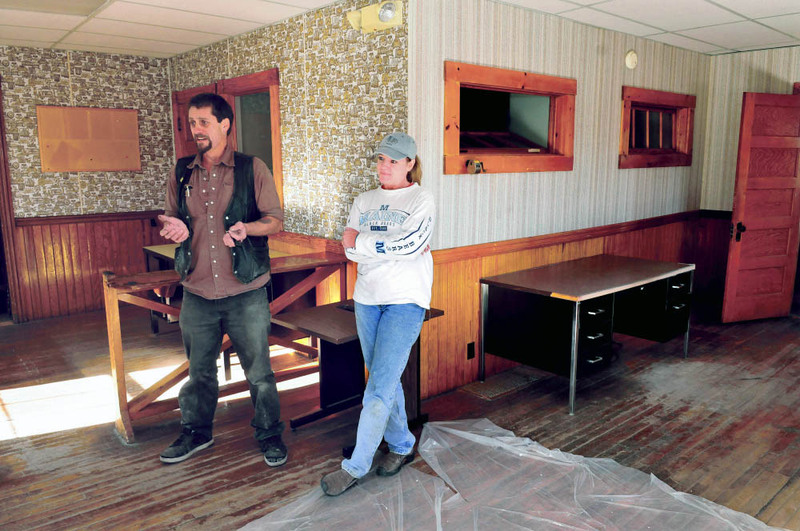 The Messers are fulfilling lifelong dreams of owning their own business, said Lori Messer, 44. They plan to do most of the renovation themselves. 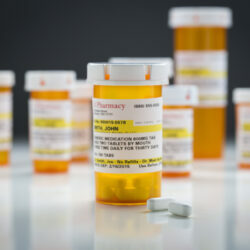 Lori Messer is a nurse who works in Rockport and lives there part of the week. She said she plans to help her husband paint and remodel on her days off. Bill Messer has been out of work for the last few years after a diagnosis of throat cancer, which is in remission, but he said he has the construction knowledge to make most of the repairs to the building himself. 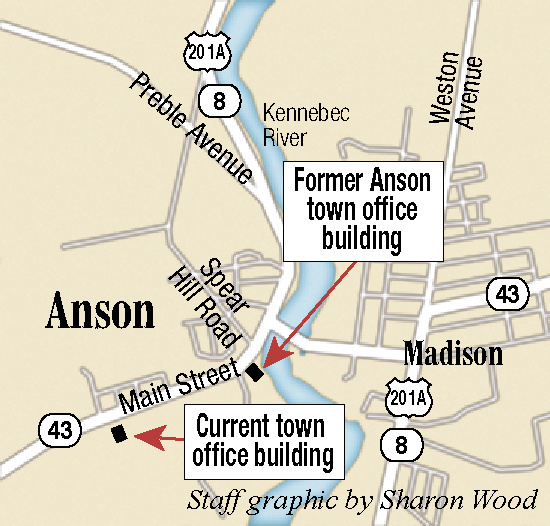 Anson’s administrative offices moved out of the 62 Main St. building in July 2013 because of a mold problem affecting air quality. 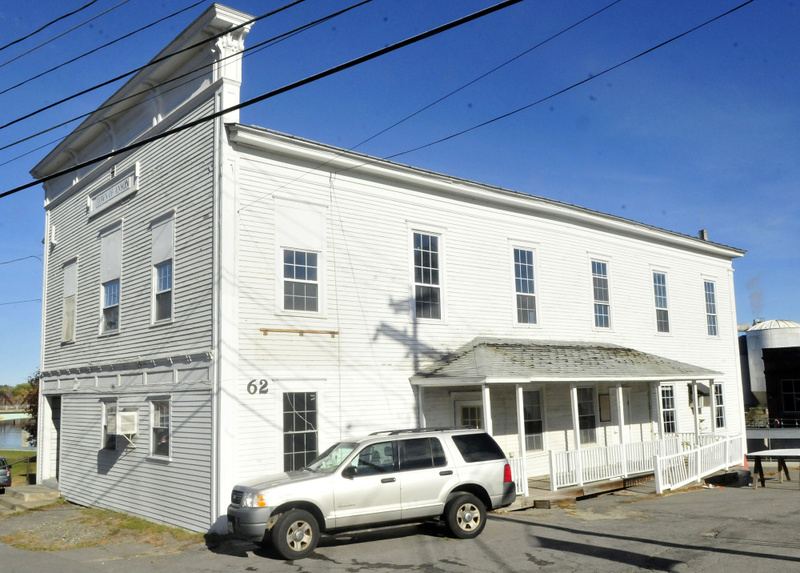 At the Town Meeting in March 2014, voters rejected a $35,000 proposal to clean and make repairs to the building, opting instead to approve $100,000 for the purchase of a new building the following June. Bill Messer said this week that the mold problem has been eradicated and that he thinks it had stemmed from some damp papers that had become moldy in the basement. He also said water is leaking in the basement, and he is working on repairing that. The town originally had listed the property for sale over the summer for $56,000. That price was lowered to $40,000 in September. Soon afterward, the Messers offered the town $25,000, and the town accepted the offer. Since 1996, Maine Preservation has listed 113 properties as endangered. The properties are never removed from the list, but they are assigned statuses that range from demolished or collapsed to saved. He said the best way to see that a building is preserved over a long period of time is to ensure that it is being used. The Messers have already started to notice lots of little things, and they’re working at fixing them. They hope to finish the repairs to the upstairs of the building within the next few weeks, so they can start hosting jam sessions and music events, before finishing the apartment and offices downstairs.